IMAGE DESCRIPTION: Our logo. "BEARDSLEY COMMUNITY FARM" is in a circle in a HAND-DRAWN serif font. In the circle are two hands holding a tomato that has a skyline within it. CAC Beardsley Community Farm is an urban demonstration farm that has promoted food security and sustainable urban agriculture through practice, education, and community outreach since 1998. IMAGE DESCRIPTION: A group of eight people. The three in front are sitting on a bench, with the other five standing behind arms around each others’ shoulders. CAC Beardsley Community Farm is an urban community farm that promotes food security and sustainable agriculture. Since 1998, Beardsley Farm has worked to increase access to fresh produce in Knoxville’s food deserts through produce donations, educational programs, and community gardening. Beardsley Farm grows over 100 varieties of fruits and vegetables in six acres of Malcolm Martin Park with the help of over 2,000 annual volunteers. 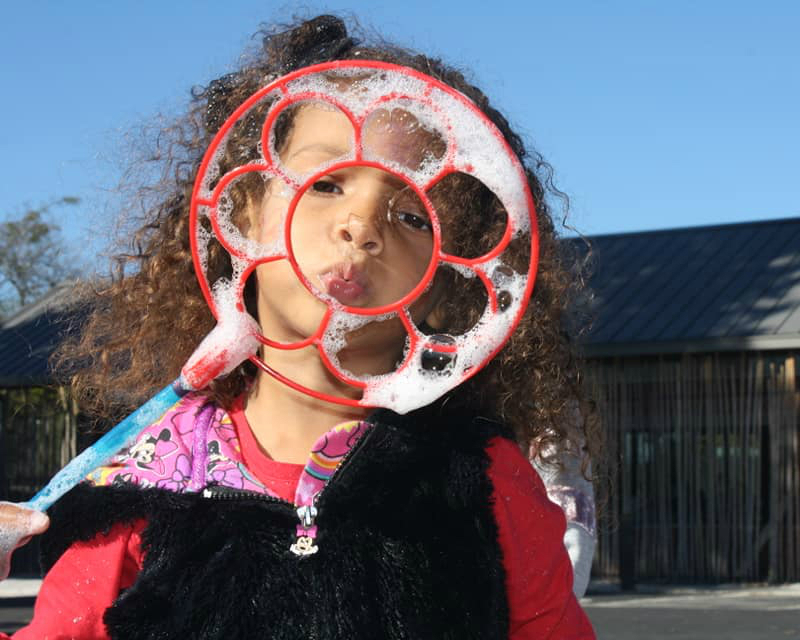 IMAGE DESCRIPTION: A child with curly hair blowing bubbles in front of Beardsley’s Education Center. Solstice Supper @ the Mill and Mine - Thursday, June 20th 6-9 pm Click here for more info. IMAGE DESCRIPTION: Two children using watering cans on plants at Beardsley Farm. Interested in volunteering at Beardsley Farm? volunteer hours are Mon-Tues, Thurs-Fri. by appointment. Please call us at least a week in advance at (865)-546-8446 or email us at beardsleyfarm@gmail.com to let us know when you or a group of people would like to come help out. We ask that you please wear closed-toed shoes, clothes you don't mind getting dirty and bring a reusable water bottle that you may fill up at the farm. Sign up with your email address to receive news and updates regarding volunteer opportunities and Beardsley events. We respect your privacy. We never spam.